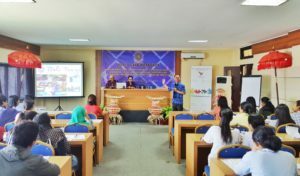 Udayana University, as one of the partners had performed the Udayana World Cafe workshop, on December 7, 2018, with the topic “Through the World Cafe, Udayana University encourages creative, inovative, young, and future social entrepreneurs to be sensitive and aware of and social problems around them”. 2. Encouraging students to take part in social enterpreneurship by inviting several speakers who are successful in this field, such as Mr. Mananda (Head of Udayana Center of Career Development and Enterpreneurship), Mr. Wayan Sukhana and Mrs. Yuliani (Bali Tangi Spa), and Mr. Saddab and Mr. Kwok from Future City Summit. 3. Informing the student workshop plan for March to all Udayana University students. There were a total of 50 selected participants who joined the workshop. The main activities were in the form of workshop. There were four speakers presenting the materials of social enterpreneurship. The materials given to the students were divided into three sessions. The first was to deliver the basic knowledge of what social enterpreneurship is by Mr. Mananda. 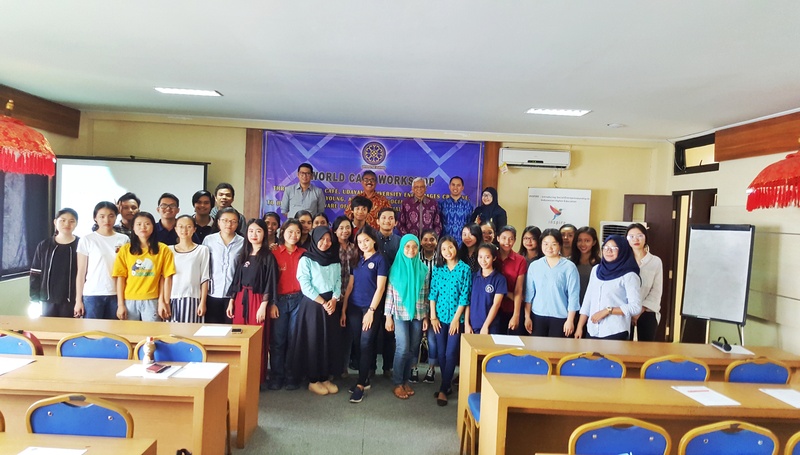 The second and third were to show the students the example of the social enterpreneurship implementation from two different corporates (Mr. Wayan Sukana and Mrs. Yuliani from Bali Tangi; and Mr. Saddab and Mr. Kwok, from Future City Summit). After the materials had been delivered, there was a discussion session on which students were actively participated in asking questions as well as sharing their experiences and discussing it with the experts. There was also a product display from Bali Tangi to show the practical example of the enterpreneurship. Overall, the workshop was held successfully with the enthuasiasm of the students in joining and following the workshop from the beginning to the end. 1. Students had a better understanding about social enterpreneurship. 2. Students were well informed about the student workshop that is planned to be held on March 1st and 2nd, 2019. 3. Students experienced an innovative learning practice in social entrepreneurship education through a fun and comprehensive discussion with the experts. 4. 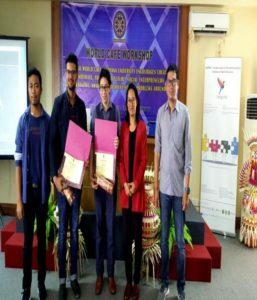 The cooperation among higher education institution (in particularly, Udayana University) and its external stakeholders or corporates was strengthened.